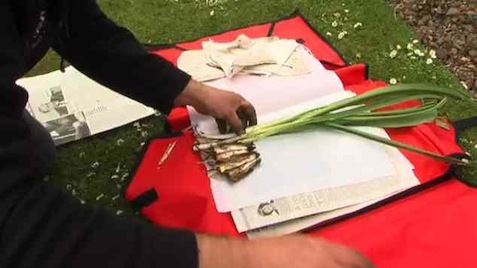 David Knott, Curator of Living Collections at the Edinburgh Botanic Garden, demonstrates how herbarium specimens are preserved in the field. Filmed May 19, 2009. Herbariums are organized collections of dried plant specimens that serve a valuable purpose in the scientific study of the plant kingdom. There are more than 4,000 herbariums around the world with more than 350 million specimens. Specimens are freely shared among these institutions to further knowledge of plants and their interrelationships.